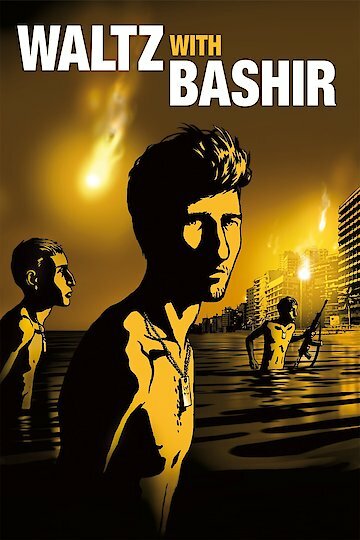 Waltz with Bashir is an animated film that tells the story of Ali. The film is actually composed of real human actors coupled with animated figures so it blends magic and realism. It is presented as if it is a documentary. Ali is 19 years old and he is a soldier in the Israeli Army. He makes a friend who has experienced trauma from his time in Lebanon. This friend has been experiencing nightmares of an Army attack in Beirut, the capital of Lebanon. Ali has no memory of what the soldier tells him and he does not believe his stories at first. Then, while he is sleeping, he begins to have dreams of a fight from many years ago. These nightmares are similar to what his friend has been telling him. Ali then becomes obsessed with finding out what really happened. His friend tells him that he needs to concentrate on talking about Lebanon with other soldiers that were there with Ali. Ali finds other soldiers and begins to interview them. His search expands further and Ali meets with a psychologist to help him tap into his memories. He even talks with a reporter who covered the war in Lebanon. Soon, Ali discovers that he was a soldier fighting in Lebanon and his memories of the brutal battle have been repressed. Ali's job in the war was to light flares around a refugee camp so his fellow soldiers could attack the camp. Ali has a lot of guilt related to this incident because it turns out that many innocent people were killed. Ali has repressed the memories because he felt so guilty. Ali is also the son of Holocaust survivors and he comes to realize that he carries a lot of guilt because he feels he should have known better. Waltz with Bashir is currently available to watch and stream, buy on demand at Amazon, Vudu, Google Play, FandangoNow, iTunes, YouTube VOD online.